Amy Kim was getting ready for bed when she discovered a lump in her left breast. An appointment with her Providence physician a couple of days later was followed by a mammogram and an ultrasound and then a needle biopsy to test the breast tissue. When her doctor told her the news, she was stunned. Cancer. With three teenage kids and a full-time job teaching writing and literature, Kim now had to turn her energy to fighting breast cancer. But she didn’t have to do it alone. She had a strong support system at home and at church. Plus, a highly-trained team of doctors and other medical professionals from Cancer Care Northwest in Spokane was on her side. After facing the initial shock of the diagnosis, Kim sought to learn about her treatment options. “I think of a cancer diagnosis as education by tidal wave,” she says. It’s a lot of information all at once, and it can be overwhelming. Kim’s tumor was triple-negative, a type that is more common in younger women and tends to grow and spread quickly, so there wasn’t time to waste. Just two weeks after learning she had cancer, Kim started chemotherapy, a medication regimen aimed at shrinking the tumor, with the goal that it be as small as possible before having surgery to remove it. Then, a sentinel node biopsy—which helps doctors determine if the disease has spread beyond the tumor site—came back positive for cancer. She was also grappling with her options for breast reconstruction after surgery. With so much at stake, she decided to meet with doctors in Seattle. “I think even if you trust your doctors, it’s not a bad thing to get a second opinion,” she says. After her appointment in Seattle, Kim felt confident returning to Spokane—and Cancer Care Northwest, a part of the InnerPacific Alliance for Cancer Care—for treatment. After chemotherapy, cancer-removal surgery and breast reconstruction, Kim started radiation therapy to kill any lingering cancer cells. And that means more safety for the patient. Without the highly focused nature of today’s treatments, the organs near the breast could be affected. And particularly with a left-sided breast cancer like Kim’s, the health of the heart and lungs is a major concern. Cancer Care Northwest uses a radiation technique called “deep inspiration breath hold” to ensure the most targeted treatment. Lying on her back, the patient breathes at a predetermined rate. Radiation is delivered only when she holds a deep breath, which is precisely timed to be when the heart and lungs are maximally distant from the radiation beam, minimizing exposure to these healthy organs. Kim’s treatment journey began with chemotherapy in June 2014. At the other end, she had 36 sessions of radiation therapy over 61/2 weeks, the last one in February 2015. “Smooth sailing,” she says. Her cancer is in remission, and she feels like herself again. A few years ago, the U.S. Preventive Services Task Force made a bold statement—suggesting that women didn’t need to begin regular mammograms to screen for breast cancer until age 50. That recommendation received a great deal of media attention, and caused confusion in its wake. However, the American Cancer Society, the American College of Radiology and other health organizations, such as Providence, are holding firm in their recommendation: Women should start annual screening mammograms at age 40. If you’re at higher-than-average risk, however, earlier screenings may be warranted. So if you have a strong family history of breast cancer or if you have tested positive for the breast cancer gene, talk to your doctor about the possibility of earlier screening. He or she can help assess your personal risk and establish an individualized mammography schedule if needed. Don’t have a doctor? 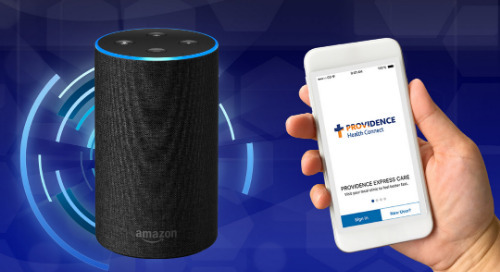 Find a Providence provider here.